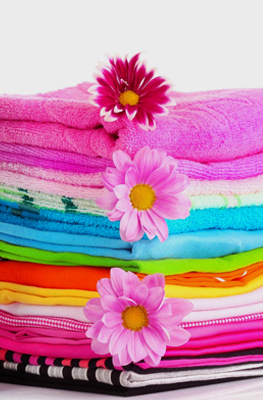 Get bright and happy clothes carefully washed by our cleaning experts. Clothes are starched according to your preferences. Before collecting your clothes, they are checked for broken or missing buttons and are replaced for free. We want to assure you that the when you hand over your clothes to use we take care to improve it. We engage latest technology for dry cleaning your clothes. No stain gets to stay on your clothes. Not happy with your old pair of jeans? Need little alternations? Hand it over to us for hemming, fixing zippers, replace or sew buttons, waist alterations and more. At times minor defects like a broken button look so odd that you may need to dump it. But if you don’t want to throw away just for minor damages then trust us. We can repair or mend it your way! We don’t charge anything for pickup and delivery of your clothes. We will come to your doorstep, collect your clothes and deliver them back to your home. Just Sign Up for our services and find out the pickup and delivery dates for your area. Let us know when you want us to collect and deliver your laundry. We operate according to you time of availability and convenience. Duds At The Door is happy to welcome you at our virtual address. Are you too busy and tired for house chores? Worry not! We are here to help you with the laundry part. We operate in the Dallas and Collin Country and you just need to call us for collecting your laundry. Duds At The Door charges nothing for pickup and delivery of your laundry. Clothes are an important part of your personality and so there should be no compromise with it – must look good and be comfortable, clean and tidy, neatly pressed. Give us a bag of dirty clothes, we turn up with the same clothes but without any trace of dirt or shrivel. You can also call us for dry cleaning, laundry services for your bed spreads, quilts, rugs, drapes and curtains. We would also like to repair your worn-out clothes. You can rely us for care-taking your leather, suede and fur articles too! 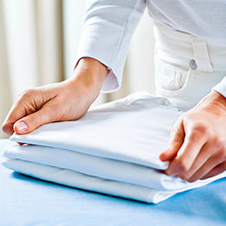 We offer the best of professional laundry services in the Dallas and Collin County. Our experts are most trusted for cleaning, dry cleaning, alterations and repair, mothproofing and special care services. Try us! Get assured dry cleaning services right at your door-step. 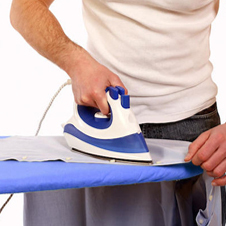 We use latest technology to remove stains and dirt from your clothes with no harm to it. Dry cleaning ensures your clothes are clean and crispy, ready to compliment your personality. Have a pair of pants that needs a little alteration? We do hemming, waist alterations, fix zippers, mend tears, sew/replace buttons, etc. We use the latest technology to dry clean your clothes. We have the ability to remove just about any kind of stain.